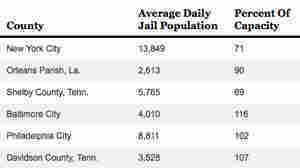 Bail Burden Keeps U.S. Jails Stuffed With Inmates Two-thirds of the inmates in U.S. jails are petty, nonviolent offenders who are there for only one reason: They can't afford their bail. Sometimes, it's as little as $50. Some will wait behind bars for as long as a year before their cases make it to court. And it will cost taxpayers $9 billion this year to house them. Across the street from the county jail in Lubbock, Texas, is a row of one-story offices housing Lubbock's bond companies. There are about a dozen bail bond companies in this city of 250,000. "Well, I stole some blankets to try to stay warm," he says quietly. "I walked in and got them and turned around and walked right back out of the store. [The security guard] said, 'Excuse me, sir, come here. Are you planning to pay for these?' I said, 'No, sir. I don't have no money.' That's when he arrested me right then." When I first spoke to Chew last summer, he'd been inside the Lubbock County jail since the night he was arrested: 185 days, more than six months. Chew is like one of more than a half-million inmates sitting in America's jails — not because they're dangerous or a threat to society or because a judge thinks they will run. It's not even because they are guilty; they haven't been tried yet. They are here because they can't make bail — sometimes as little as $50. Some will wait behind bars for as long as a year before their cases make it to court. And it will cost taxpayers $9 billion this year to house them. On this day that I met him, Chew's bail is $3,500. He would need to leave that much as a cash deposit with the court to leave jail. Or he could pay a bail bondsman a $350 nonrefundable fee to do it for him. If he had either amount, he could stand up and walk out the door right now. But he doesn't. The money, says Chew, "is like a million dollars to me." When Chew headed down the grocery aisle and put four $30 blankets under his arm, he set in motion a process almost unique to the United States that rewards the wealthy and punishes the poor. And, NPR has found, it exists almost solely to protect the interests of a powerful bail bonding industry. Leslie Chew, in Lubbock County Jail for theft, said his $3,500 bail was "like a million dollars to me." The result is that people with money get out. They go back to their jobs and their families, pay their bills and fight their cases. And according to the Justice Department and national studies, those with money face far fewer consequences for their crimes. On this day, Chew is still waiting for the offer. He is ready to plead guilty and accept his punishment, but court cases take time, and prosecutors have come to visit him only once. The price tag to house, clothe and feed Chew so far for these past six months: $7,068. "That's a lot of money," Chew says, sitting at a metal table in the middle of the jail's white concrete day room. "That's really too much money." I watch the calluses on his hands start to leave marks on the painted steel. He says he's worried that his customers, who hire him to fix and move things, are turning to someone else. And he's worried about his white 1987 Saturn station wagon. "I was going to get a regular car," Chew explains, "but I figured a station wagon would be better, because if I ever get in a bind, I can lay down the back seats and have a place to sleep." Chew's feet begin to tap under the table. "If I lose that car, that's it. I don't know what I'd do," he said. "Cuz that's how I get around." Chew doesn't know it now, as he waits at this table for lunch, but he's going to lose his customers. And he's going to lose his car. 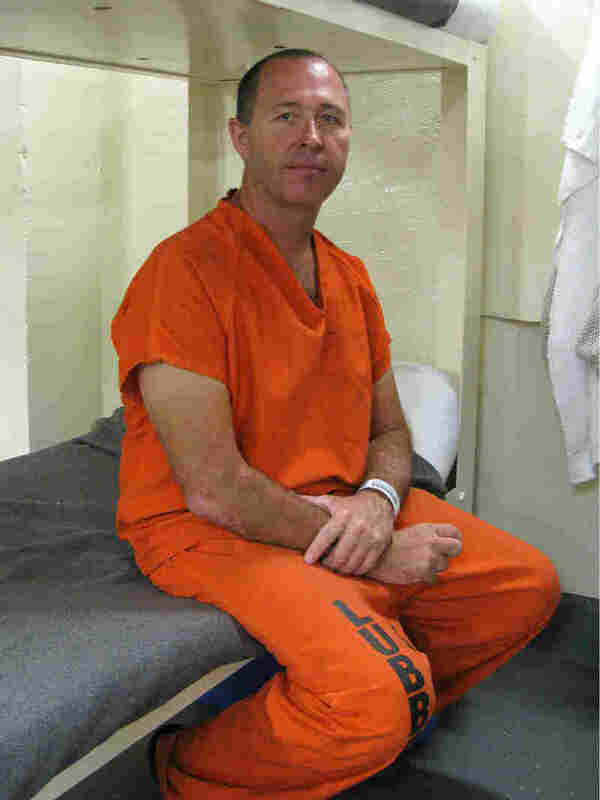 And across this barren room of orange jumpsuits, most of Chew's fellow inmates aren't going to fare much better. Doug Currington is sitting on his bunk absent-mindedly running his fingers through a paperback book. Like Chew, Currington tried to steal something: a television from Walmart at 2 a.m. while high on methamphetamine. Currington has been here 75 days so far, at a cost to taxpayers of $2,850. Standing between him and the door: $150. He's already lost his apartment and his job. His truck has been repossessed, and he has no money to pay child support. And perhaps even more important in terms of getting punished, he doesn't have the opportunity to show the court he's sorry. "If I can get out and hire an attorney, I can go to rehab," he says. "I can get my job back. And when I go to court, my lawyer has something to work with." "The lawyer can say, 'This guy has been clean. He's voluntarily gone to rehab. He hasn't committed another crime. He's had the same job. He's paying child support,' " Currington says. "They're not going to want to throw you back in jail." Currington's gut feeling about his situation is backed up by statistics from the Justice Department and industry groups. Defendants who make bail do less time. Several defense lawyers in Lubbock said that in their experience, if Currington could get out, go to rehab and pay restitution, he would very likely get probation. Prosecutors are offering him five years in prison. "It's stressful," Currington says, shaking his head. "It's stressful knowing your life can be swayed over $150. It's a matter of being free in two hours if I had $150 to being free in three or four years when I make parole on a 10-year sentence." All across this jail, everyone seems to have a similar story: a daunting offer from prosecutors, a bail so small that most people would just need to get to the ATM. And in here, most inmates seem to think they're just hours away from someone — a friend, a relative, maybe a boss — coming to bail them out. "Right now my family's working on it to come up with the bond to get me out," says 34-year-old barber Raymond Howard. "So I'm praying [it won't be] too much longer. Not too much longer." At the intake area of the Lubbock County Jail, inmates can place a call to family, friends or one of the 12 bail bonding companies in town. Howard needs $500. He has been here more than four months, after he forged a check against a company. Like Currington and Chew, Howard has no history of violence and has always shown up for court. That's why he was granted bail. Up to this day, the city of Lubbock has already spent $5,054 to house him. Lawyers say Howard would most likely get time served and probation if he was on the outside. But in jail, he has little bargaining power and nothing to show for himself. Prosecutors are offering Howard a sentence so long, he catches his breath as he said it. "They started with seven," he says, pausing. "Seven years." With three young boys at home, he says, it's almost more than he can bear. "I love my boys to death," Howard says. "It's pretty much all I have." But despite all his hoping, Howard's family isn't coming with the $500. In fact, he isn't going to see his three young boys for a very long time. "We're out of room. Completely out of room," Gutierrez says. In the maze of hallways, there are corridors where there used to be windows and cells where there used to be closets. "It really needs to be closed," Gutierrez says. "I think you'll see it's not quite adequate. When you try to bring in today's technology and standards into a 1931 building, it's really pretty challenging." It wasn't always like this. Twenty years ago nationally and in Lubbock, most defendants were released on their own recognizance. In other words, they were trusted to show up again. Now most defendants are given bail — and most have to pay a bail bondsman to afford it. There is one other solution. It's a county-funded program called pretrial release. Nonviolent inmates are released under supervision, often with ankle bracelets, drug testing or counseling. It costs only a couple dollars a day, compared with the national average of $60 a day in jail. The regulation of bail bond agents varies widely across the country. Many states require bondsmen to be licensed. Generally, bond agents must undergo eight to 16 hours of training, submit to fingerprinting and a background check and be a resident of the state to receive a license. However, some states do not require bondsmen to be licensed. In Wyoming, for example, agents using their own capital are not required to be licensed. Some states ban commercial bail bondsmen outright and have the state's court act as the bail bond business. But in others, the American Legislative Exchange Council, an organization backed in part by the bail bond lobby, has worked to pass the Citizen's Right To Know Act, a law that requires reformatting and increased reporting of pretrial release information and encourages the use of commercial bail bondsmen. Kelly Rowe, chief deputy of the Lubbock jail, says that pretrial release is an important option. In Lubbock, it operates out of the jail's intake area, where inmates are processed into the jail, and he takes me down there. Two dozen inmates are scattered about near a line of pay phones. On the wall is a large sign with the number of every bail bond company in town in bold letters. There's no phone number for the pretrial release office. When Rowe walks over to the desk where the program is supposed to operate, it's empty. There are no papers, pens or signs of work. Rowe leaves to inquire why the area is empty and returns a few minutes later. He says no one has staffed the desk for four or five months. When asked where they went, Rowe says: "It's like anything else we do; we have a thousand functions we oversee and watch and are doing, and it stalled. And I think the people responsible for that staff reassigned them or said, 'Here, we want you doing this other job duty.' "
That's not exactly how Lubbock's pretrial officials describe what happened. 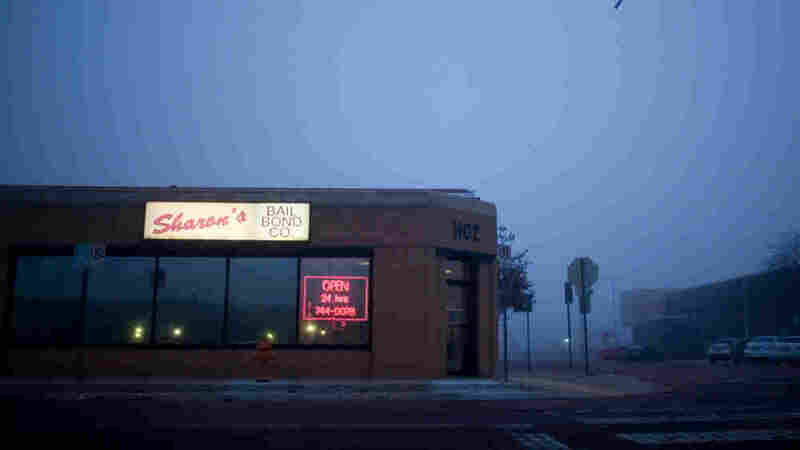 A block away from the jail, Steve Henderson runs Lubbock's parole and pretrial release program from a small, dark office. He says his shoestring budget can't afford an officer at the jail. He can't even afford to accept collect calls from inmates looking for pretrial help. "Follow the money," Henderson says. "Usually whenever you've got questions of money, you follow the money and they'll tell you the reasons why some things operate." He says the bail bondsmen don't want to see his program receive anything more than limited funding. The bondsmen "make money and they contribute their influence," Henderson says. "I would do more if we had the funding to do more." 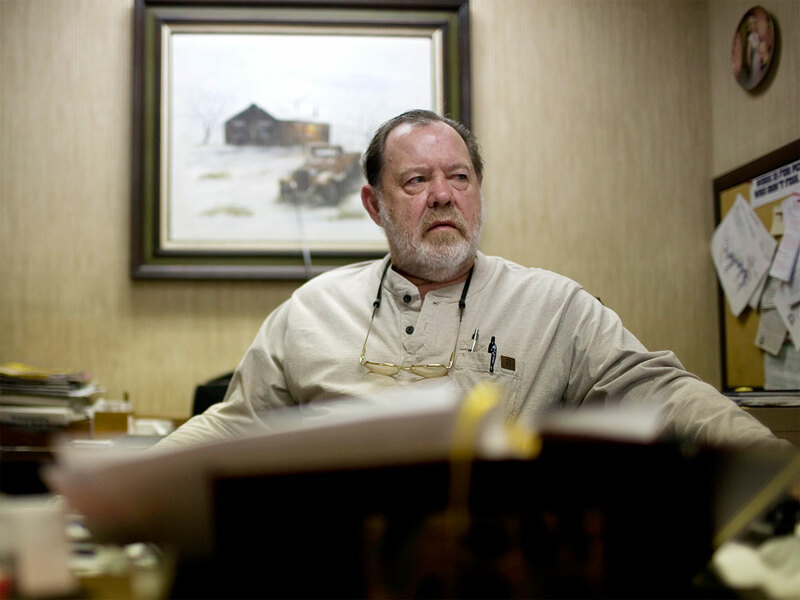 It's not that Lubbock's bondsmen want Henderson's clients. They don't. Henderson's clients can't afford a bondsman's fees. But Henderson says the bondsmen lobby to keep his program as small and unproductive as possible, so that no paying customers slip though — even if that means thousands of inmates like Raymond Howard and Leslie Chew wait in jail at taxpayer expense, because they never find the money to become paying customers. "The bonding companies make a living," Henderson says. "That's just the nature of Texas and Lubbock." But it's not just Texas and Lubbock. Industry experts and a review of national lobbying efforts by NPR show that pretrial release programs across the country are increasingly locked in a losing battle with bonding companies trying to either limit their programs or shut them down entirely. As Henderson walks back downstairs, he stops and reads the sign above the door in the lobby. It says: Protecting our community by changing lives. "Jail doesn't do anybody any good," he says. "The only thing that jail is good for is to keep the dangerous people in the community away from the people who don't pose a risk." But that is not who is in the nation's jails. According to the Justice Department, two-thirds of the people in the nation's jails are petty, nonviolent offenders who are there for only one reason: They can't afford their bail. Across the street from the Lubbock jail is a row of one-story offices with painted ads: Student discounts! Lubbock's #1 bonds! 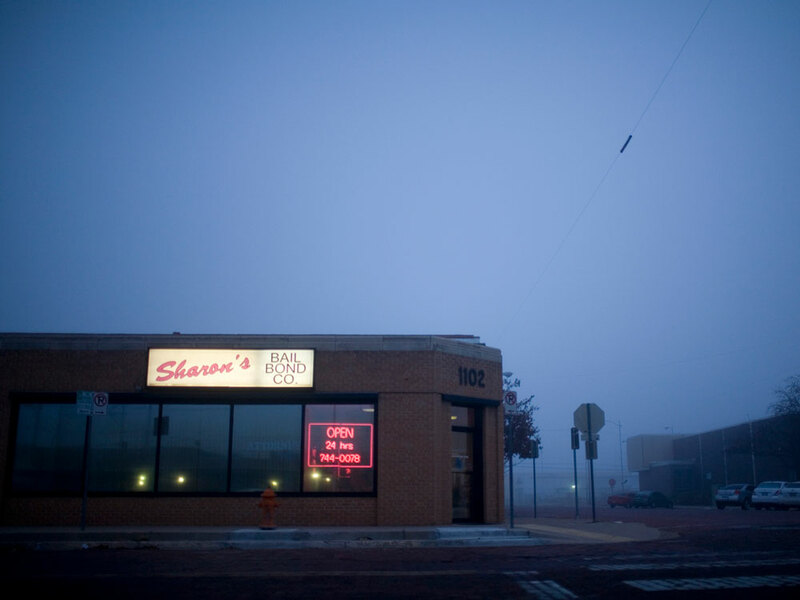 Inside one of them, Lubbock Bail Bond, three young women work the phones and greet customers. This is one of the biggest bonding shops in town. Here's how it works: You're arrested. A judge gives you $5,000 bail. But you don't have $5,000, so you pay Lubbock Bail Bond a nonrefundable fee — at least 10 percent of your bail — and you get out of jail. "We put up the total amount; they pay us a premium. As long as they show up for court, we make money," says office manager Ken Herzog. 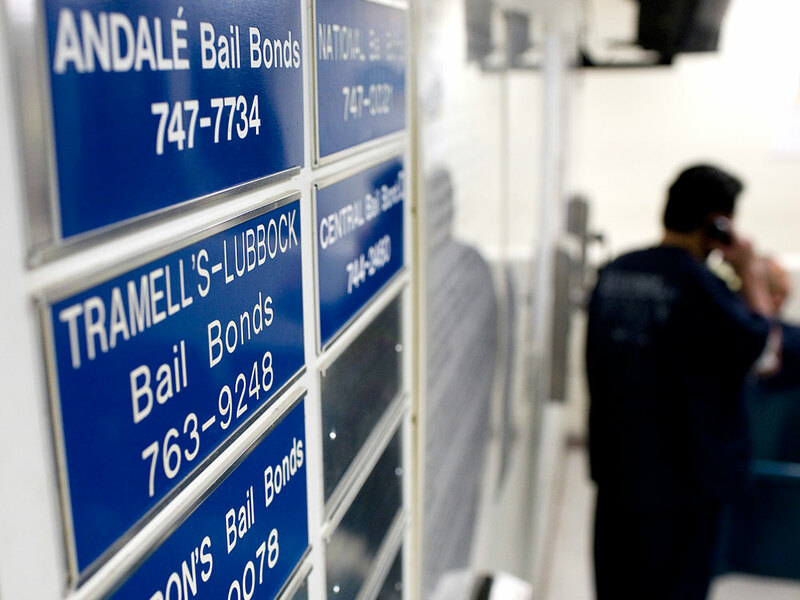 There are about a dozen bail bond companies in Lubbock, serving a rather small population of 250,000. Herzog says it's a cutthroat business that leaves no room for even a modest pretrial release program. As an example, he describes a time he was working to make bond for an inmate. A clerk at the courthouse told him that the inmate had been interviewed by pretrial release program workers who were working to get him out of jail. "We take care of the ones who take care of us," Herzog says. "We don't want to pay anybody off, per se. We just want to support the people who are trying to help our business." Ken Herzog, manager of Trammel's Lubbock Bail Bond for over 25 years, sees an average of six people a day who need to be bonded out of jail. His bonding company currently has between 2,500 and 3,000 active accounts. The disparity has served the bondsmen well over the years. Bondsmen's main responsibility is to bring defendants back to court if they fail to show up. But it turns out that many bondsmen aren't doing this job. "More often than not, the defendants are rearrested on a warrant that's issued after they fail to appear," Hemmeline said. Asked if the bondsmen are fulfilling their end of the deal, Hemmeline says, "Well, it may be that [the bondsmen] can't find them. They can't camp at the door 24 hours a day. They do the best that they can, I think." 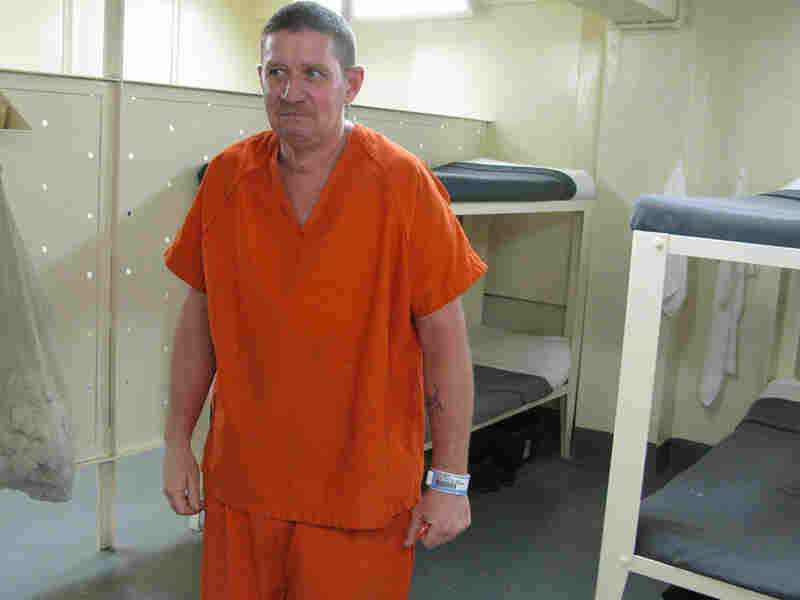 NPR found bondsmen getting similar breaks in other states. In California, bondsmen owe counties $150 million that they should have had to pay when their clients failed to show up for court. In New Jersey, bondsmen owe $250,000 over the past four years. In Erie, Pa., officials stopped collecting money for a time because it was too much of a hassle to get the bonding companies to pay up. It is possible to skip the commercial bail bonding business entirely by just paying cash. Show up for court and you get your cash back. But it turns out that this is not as easy as it sounds. It takes hours longer to post a cash bail. And many people, like Sandy Ramirez, don't even know that it's an option. Ramirez came to Lubbock Bail Bond for her 18-year-old son, who was arrested after getting into a scuffle with his friends. They were charged with public mischief. Her son was given $750 bail. She says neither the district attorney's office, the judge nor the court clerk told her she could leave cash with the court as a deposit and get it back when the case was over. "I never knew that," Ramirez says. "That's awful not to know that." Lubbock Bail Bond tacked on some additional fees for, among other things, paying on a payment plan. In the end, she owes the company $260 — more than half the cost of the bond. Two weeks after the scuffle, prosecutors dropped all the charges against the teens. But two months later, she's still paying the bail bondsman. Across the street at the jail, Deputy Jerry Dossey is manning the window where people come to make bail. He says only two or three people a month put up their own cash. More than 60 people a day pay through a bail bondsman. "Sometimes, it's hard to scrape up the cash money when you've got a family to feed and everything else," Dossey says. One reason could be that judges aren't setting bail at what you can afford to pay. They're setting bail 10 times higher than what many people can afford to pay a bail bondsman. If a judge thinks $1,000 is a good amount to bring you back to court, then bail is set at $10,000. Officer Sylvia Urrutia interviews Dominica Esparza for Lubbock's pretrial release program. Esparza, 19, was arrested earlier this month and has to meet a $75 bond to get out of jail. About 20 minutes out of town, Lubbock's new jail rises from the flat brown landscape as if from nowhere. On a tour, Sheriff Gutierrez says the main corridor is almost three football fields long. "This whole area here," Gutierrez says, pointing to just one room still under construction, "is larger than our old jail that holds 600 inmates." This jail will hold 1,512 inmates. Gutierrez says he agrees there should be options for people who can't afford bail other than housing them at taxpayer expense. "The last thing I want to do is continue to keep building beds," he says, standing inside one of the cells. "I think there should be some opportunities to release them, put them back into society, allow them to go to classes and go back to work and report for trial when the trial date comes." But as he's about to walk out of the cell, Gutierrez, who has been elected in three landslide victories over the past 11 years, pauses. He knows the risk for any politician to suggest such an alternative — even if it means taxpayers save money, even if it means victims will get restitution, even if it means the only reason he can fill this new jail is because the people filling it are poor. "I don't want you to think I'm soft on crime. I'm not soft on crime," Gutierrez says. And the result of that for defendants can be devastating. Six months later and two hours north of Lubbock, the barbed wired of Formby State Prison rises from the cotton fields. In an empty visiting room, Raymond Howard, the inmate from the Lubbock jail with three young boys and a $500 bail, is sitting next to the Texas state prison's Coke machine. "Here I am," Howard says with resignation. Howard's family couldn't come up with the $500 he needed to make bail for forging the check. Without his barber income, his wife and three sons were barely making it on their own. He took the best offer he could get -– a three-year sentence in state prison. If he had made bail, defense attorneys say he would most likely have gotten probation. But inside, he had nothing to show prosecutors he would do better, nothing to show them he could be trusted with a chance. "It was something that I did," Howard says. "It was my mistake; it was my fault. But I didn't have the opportunity to show them. I apologize for what I've done. But I didn't have that chance. And this is where you wind up." It's a place too remote for his wife and three sons to afford to visit. Leslie Chew didn't walk out of the Lubbock jail until eight months after he arrived, costing taxpayers $9,120. Prosecutors eventually gave him time served for his blanket theft. But there was a condition: He had to plead guilty to felony theft. When he left, Chew found out his station wagon had been repossessed. Without a place to sleep, he wound up at a homeless shelter. A few months ago, he almost got a job as a maintenance man, but when the owners saw a felony conviction on his record, they pulled the offer. In October, Chew walked back into the Lubbock jail and asked the night officer if he could have his old job back, cleaning the jail's floors. But those jobs are reserved for the half-million people in this country who can't make bail. Nobody has seen Leslie Chew since.